Myriam Phiro is a NYC-based internationally-recognized French-Canadian actress, jazz singer, dancer and cabaret chanteuse who has performed on stages and in theaters worldwide. Her recent performances include sold-out concerts at world-famous the Rainbow Room, 54 Below, the Iridium Jazz club, BB King’s, & Metropolitan Room in NYC as well as at Montreal’s International Jazz Festival & Montreux Jazz Festival. Her performing endeavors brought her to collaborate and share the stage with renowned artists such as Harry Connick Jr, Janis Siegel, Nicki Parrott, Marilyn Maye, Frank Vignola and Vince Giordano. On MAY 19th, 7.30pm, French Canadian chanteuse Myriam Phiro will guide audiences through the decadent world of Edith Piaf using her timeless songs to retell the life of the iconic performer we all know. Accompanied by her all-star trio, Ms. Phiro will offer a solo-rendition of her own 'Piaf at 100' cabaret show, recreating the brothels, circuses and nightclubs that created the great Piaf we all know. Come celebrate a life full of untold stories who’ve inspired her so much in becoming an artist... More info HERE. ALL INFO, MUSIC & TOUR DATES HERE. A society band to pair your wedding, anniversary, party (& more) with. Inquire within and we’ll design the best accompaniment for your event! 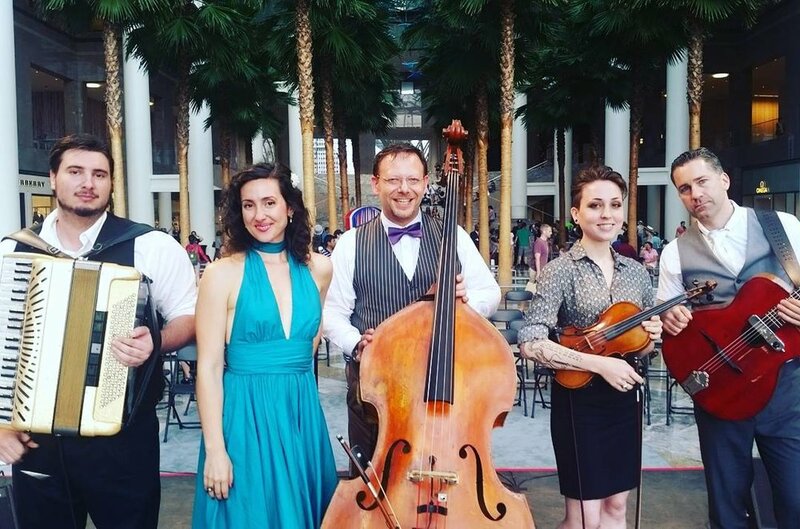 The Phirocious Swing Orchestra is ideal for Swingdance parties, vintage-themed & cabaret events, elegant receptions & more! With their innate musicality and pizazz, the 5-7 piece band plays songs from the big band era and strives to bring happiness to the dance floor. Watch a VIDEO here and contact us for booking inquiries. We’ll be thrilled to help you with the event you’ve always dreamed of!